Casiplay Casino - Big deposit bonus & a modern casino experience! Welcome to Casiplay Casino - A hot new UK online casino with a big welcome bonus and exclusive bonuses! Read our full review and try Casiplay today! 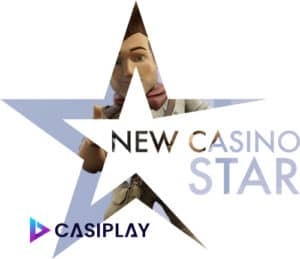 When we got our first pictures of Casiplay casino, we knew right away that this is the kind of online casino brand that we really appreciate. If you have read our earlier reviews and usually agree with us, this most probably will be the kind of brand that you also like. At Casiplay, players will experience a nice looking website that at the same time delivers an easy-to-use feeling. It is built on a well-known platform, why you straight away will find your way among the promotions, games and other things. A game selector that is one of the best out there right now as well as a loyalty club that really brings something extra. Everything is placed on a calming blue-ish website with nice contrasting colours and graphics – something that results in us not wanting to leave. Hopefully, you get the same kind of feeling once you try it out. As always, to be able to make such a correct review as possible, we wanted to try this new casino out. We created a test account since the brand wasn’t even officially live at the time we were able to test it. Even so, it felt more than ready to see daylight. On the dark blue menu, we found our way to the sign-up button. The registration is quite basic and we were soon enough ready to make a deposit. A couple of deposit bonuses wait for all new players. As (almost) always, they come with some wagering requirements, about 35 times. This might change, why we always suggest you read through the terms and conditions before you make your move. However, we made a small deposit which gave us some extra bonus money to play for. We also went deeper into the different promotions that Casiplay casino has to offer. They differ from time to time, and also country to country, why the best approach is to see what you can be offered every week. 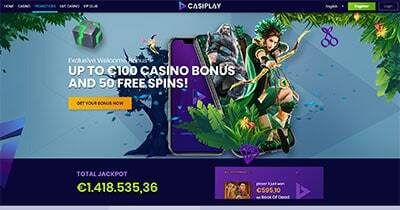 Be prepared to claim Casiplay bonus free spins and much more. So did we get entertained? Even though the number of slots might not be the biggest we have ever experienced, the quality of them are really good. This brand works with many different game developers and chooses to go with the best titles there are. The game selector is one of the best, and you can easily find the exact kind of game that you are interested in playing. Virtual Sports, scratchcards, classic slots and other categories help you out. There is also a live casino for players preferring this. With a license in the UK, this brand has the possibility of being one of the most played casinos within the United Kingdom in 2019. Everything looks really good and the number of games, as well as bonuses, will most probably increase during the next coming months. We had a great time here and think that you might as well. Have a look at the website and see what you think, and don’t miss out on the Casiplay casino bonus when you are over there!